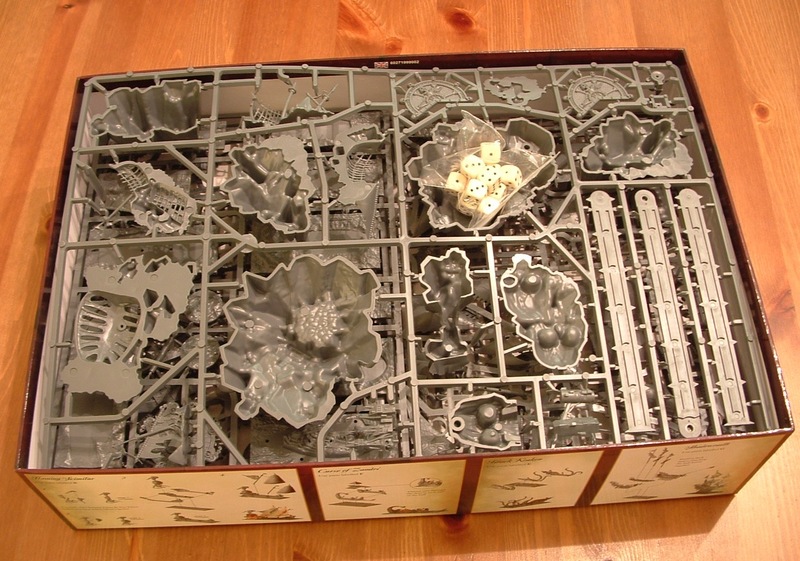 Firstly, the box is big and (4 inches) deep, very full and fairly heavy. You aren’t buying a load of air. 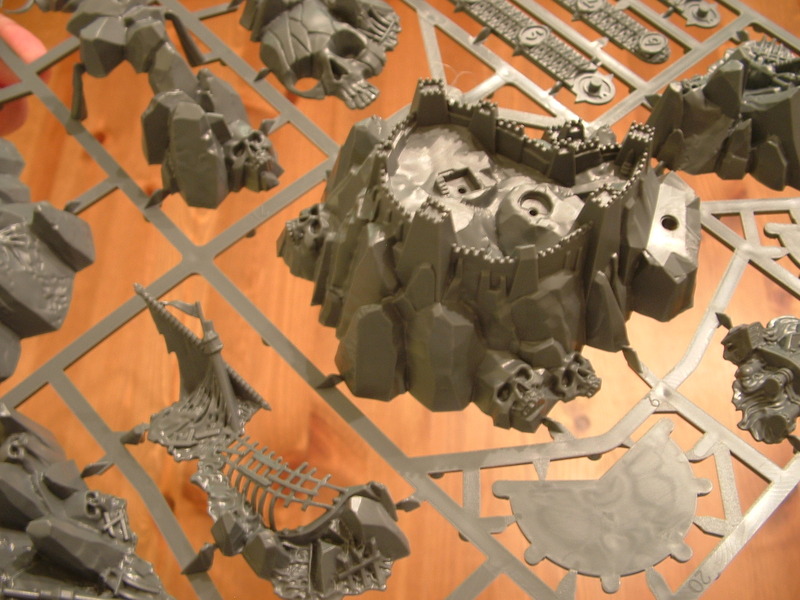 First out is the deep sprue of islands, and it wouldn’t be GW if some of them weren’t made of giant skulls 🙂 Others include this very nice fortress. The ruler you can see at the top of the shot above comes in three bits and clips together. The odd flat bit in the lower right looks like the back of a turning widgets for sailing round corners. Then we get into the ships. 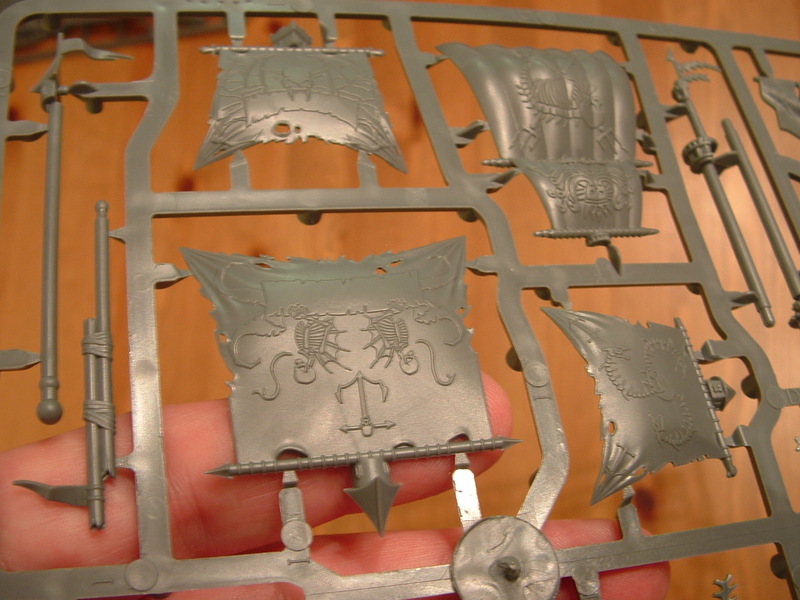 The sails all have raised detail to help you paint the fancy designs. 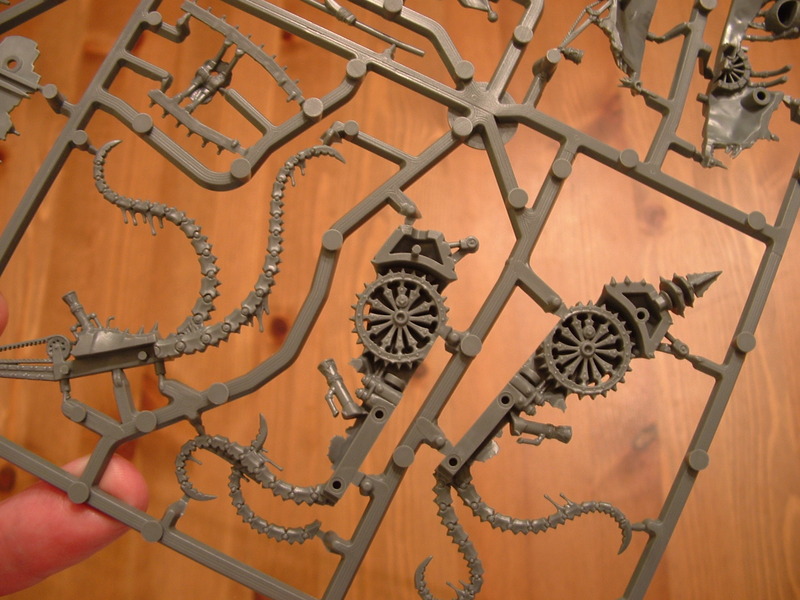 This is what happens when you turn a mechanical kraken inside out. 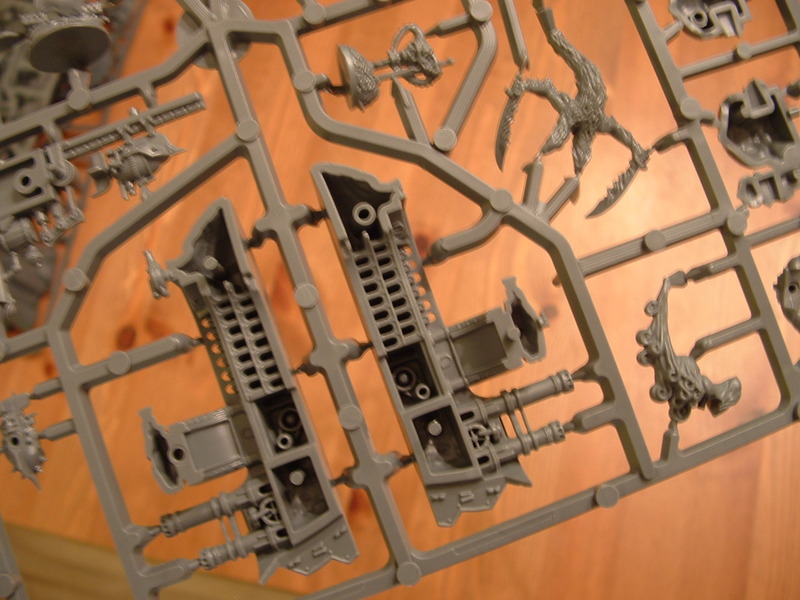 And some nice detail on the inside of the Dwarf ship. Ghostly apparitions rising from the waves. 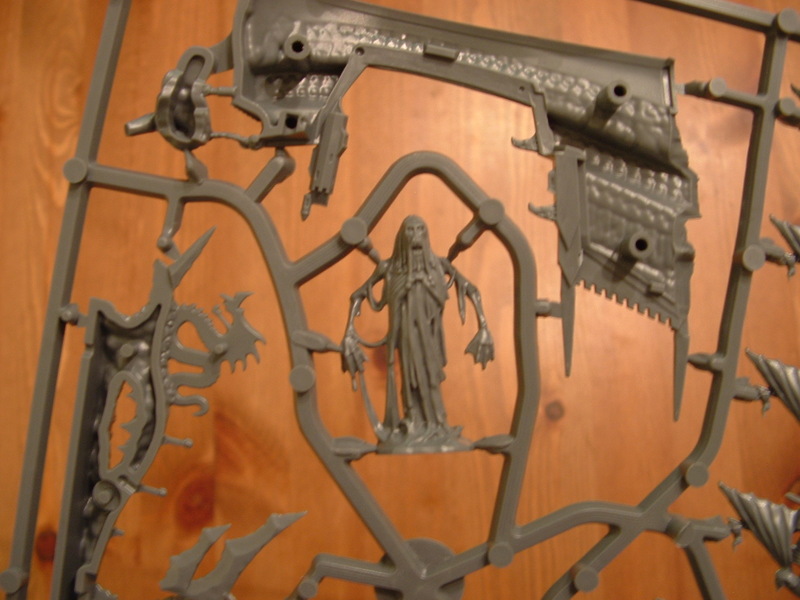 There are a bunch of these little pieces that presumably complement the ships in some way. I’ll find out when I read the rules, no doubt. Look cool though. And a splendid ghost ship. 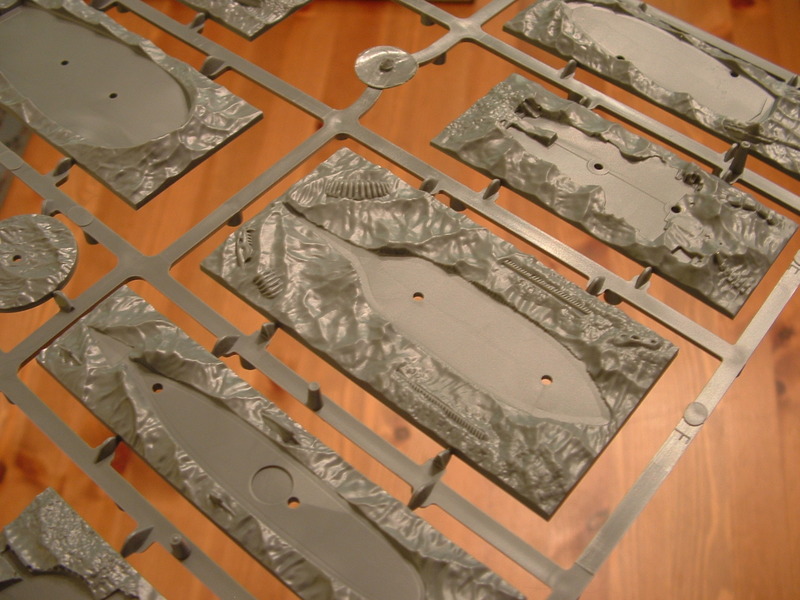 Each ship comes with a specially made base covered in yet more detail. 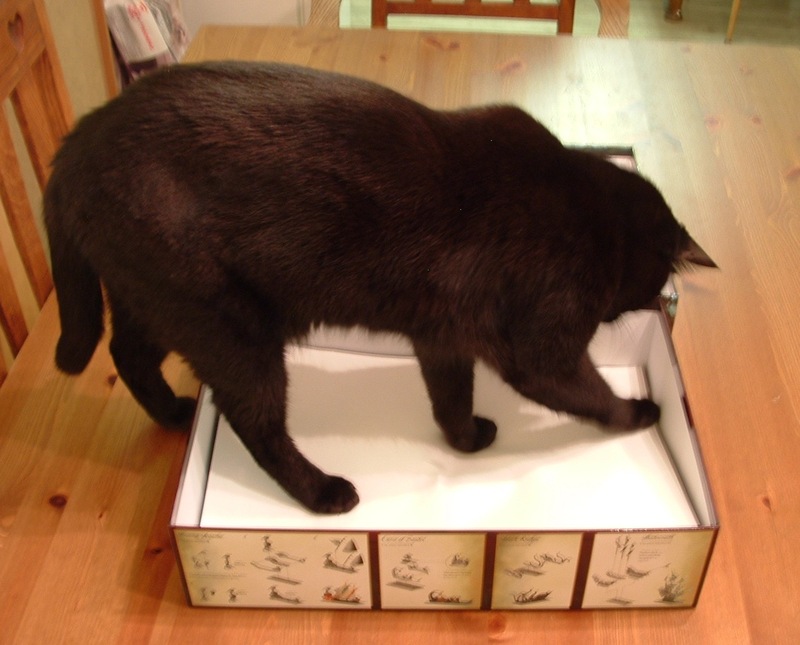 And now, as I’ve taken all the plastics out of the box, I can finally get some help from my beautiful assistant, Mojo. He thinks there’s something lurking under this sheet of card, and as it happens he’s right. 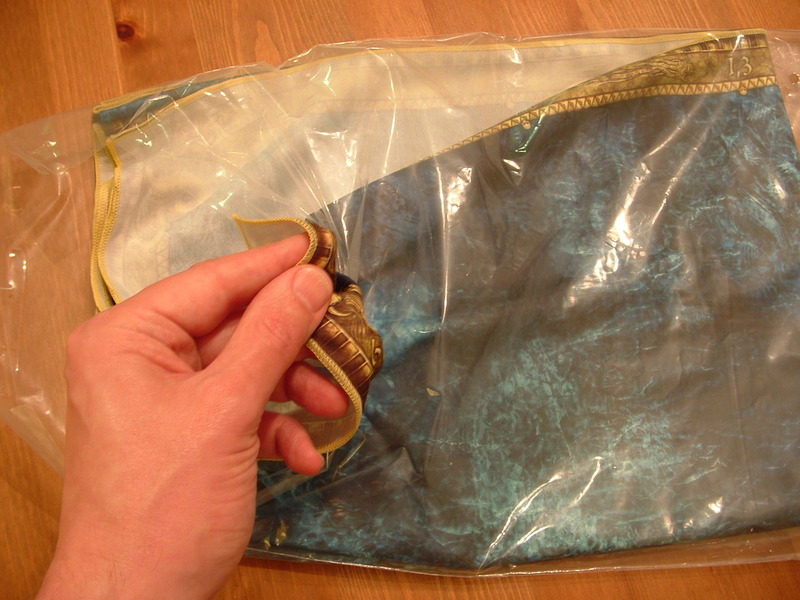 The sea mat comes in its own bag and is very thin. This shouldn’t harm its usability and it might even help it stay uncreased. Finally we have the rulebook, cards and a handy bag of ziplocks to keep the bits in. Always a good idea. As a picture is worth a thousand words this post has already been very long, so I’ll leave you there. A quick first look, and it’s looking pretty good so far. 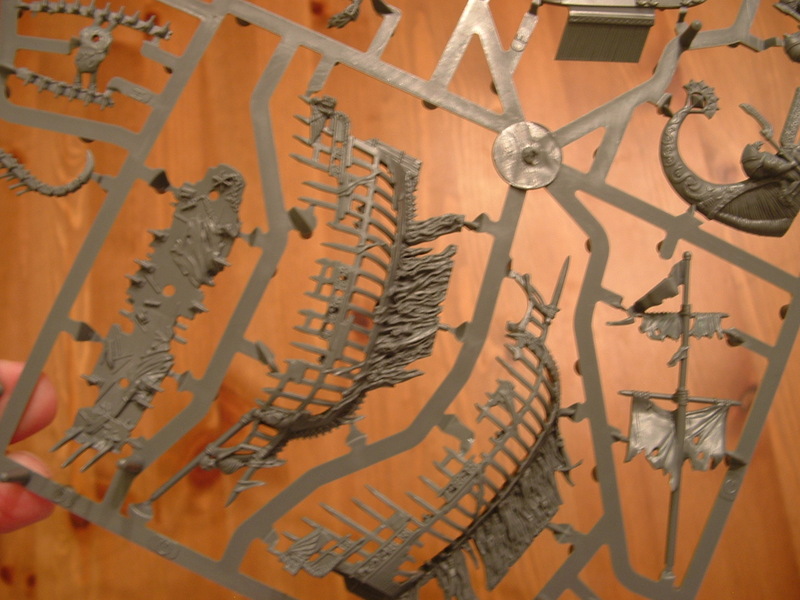 This entry was posted in Board Gaming, Dreadfleet, Tabletop gaming. Bookmark the permalink. I must say i am even happier I too the plunge. I am a drew days behind in comments but I have read everything lately and you’re gathering quite a following Jake! Now that you have the rules does it seem like same mechanics as MOW they just replaced dice rolls with card flips? I’ve not looked properly at the rules yet. I’ll be playing it either later today or tomorrow, but I’m also out at the Derby wargames show today, so it’s all go. 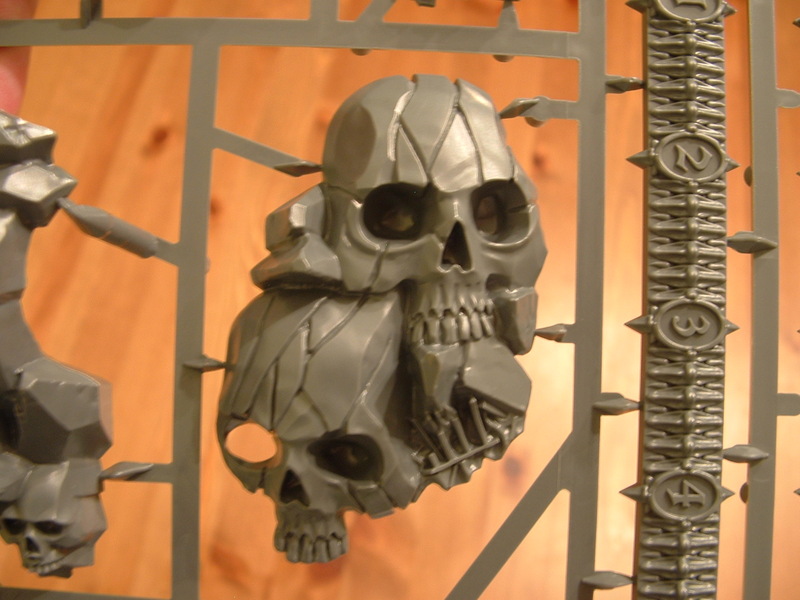 There went some brains into this set (and still too much skulls)! This black cat could be mine. I assure you that this is one of mine. I’d recognise his complaints anywhere. On a first look it all seems to have been very thoroughly thought out and nicely put together. You can quibble with all the skulls if you’re not into the GW aesthetic, but I’m used to it and it’s certainly in keeping with the theme of a game on the Warhammer high seas. I’m now very much looking forward to finding a Royal Mail red ‘you were out’ card on the doormat at some point this week. Exactly because of this I got me a post-box and Packstation. And the station even tells me when it got something new in it. I was just fed up with DHL drivers to busy to ring my door-bell (though they rang all other bells to get into the house to put the yellow card in my mail) and mail-guys trying to fit thick magazines in a small mail-slit and thereby ravaging them. After having a look at Wizkids abysmal Star Trek Fleet Commander I can only say: GW is very generous with this game and the price is very fair. I know nothing about STFC so I can’t comment. 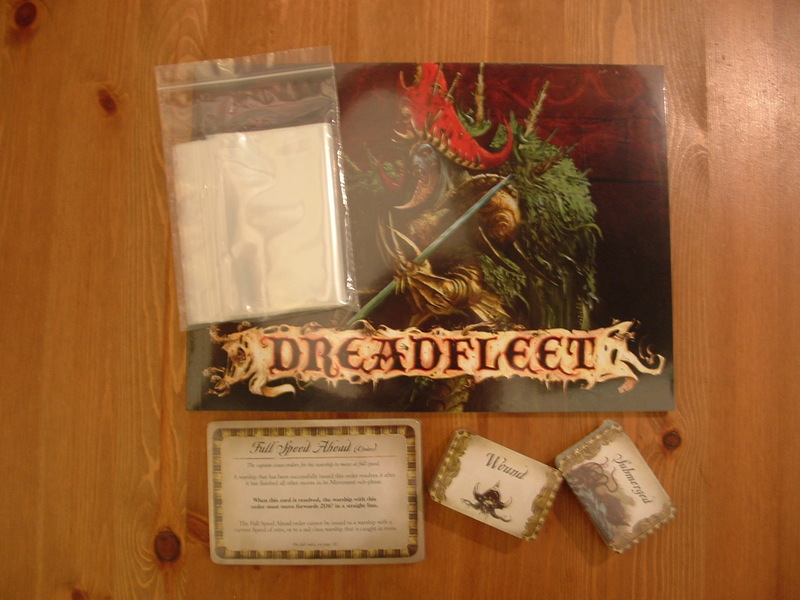 Dreadfleet is packed full of stuff though. A fair price? Perhaps I’m thinking maybe it’s a tad overblown, feeling perhaps more like a £60 than a £70 game. That’s a very subjective assessment though, and it is before I play it. 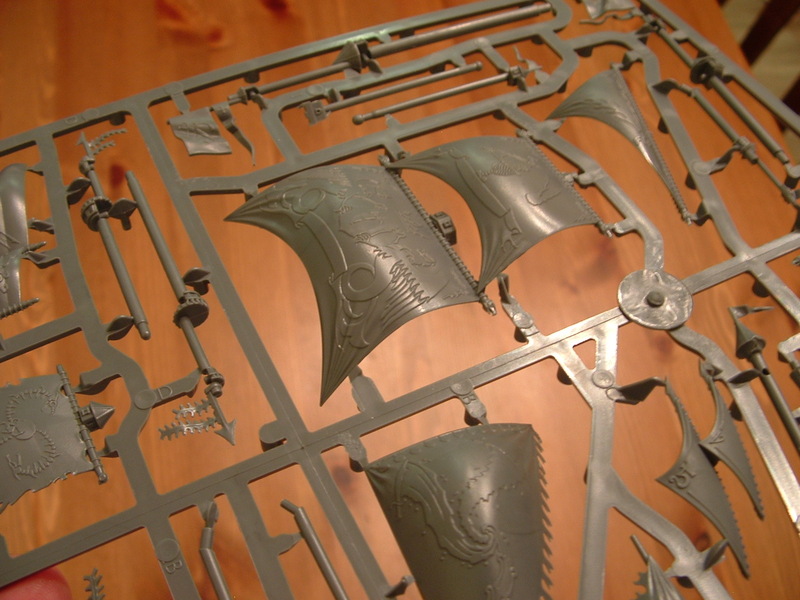 Actually sitting here now putting ships together as I can’t sleep. It was slightly ironic, but I really think that after seeing one box in real life the price is quite acceptable and it has at least some replay-value, though not on the cheap side. At least you get quality stuff and not broken, badly layouted, scroogy stuff that definitly is not worth its price. I don’t want to do my review here before I write it up properly, but let’s say that the binding broke on my rulebook after a single skim through the rules before we played. It’s going back for a replacement as soon as I can get into a store. Yeah. You can colour me not impressed.